Both my parents were in the Navy so they instilled patriotism towards defence and the country in me. After leaving school I worked for an insurance company but then became an Army Reservist. Part-time I would don the army uniform and learn to become a signaller. The lure was too much and I joined the Australian Army and trained as a dental assistant. 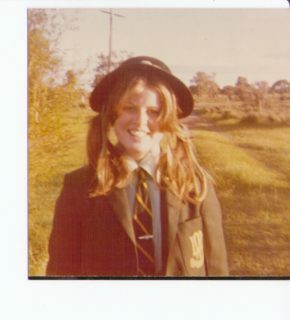 I met my husband in Puckapunyal, and went on to have a successful army career before becoming a mother and working for the Education Department in admin. In 2000 both my sons joined Defence Force Cadets and I was approached to join the Army Cadets as staff. That was a turning point. Defence Force Cadets is the biggest youth organisation in Australia with over 25,000 cadets. I am now the Battalion Commander of 53 Battalion. My units include Rockingham, Mandurah, Armadale, Bunbury, Busselton, Katanning, Narrogin and Albany. Most school holidays I attend camps with cadets and at the end I know I have kept up to 800 young men and women off the streets and doing something positive for 10 days. I have seen many young people changed by the experience. Their confidence and leadership ability is attributed to the high level of training. I have an ex-cadet serving in the Navy in the Gulf, three ex-cadets as instructors at Kapooka in Wagga Wagga and four ex-cadets serving in Afghanistan. I currently serve at headquarters Australian Army Cadets helping and mentoring new and existing staff. I have been awarded the Defence Forces Medal and the Cadet Services 10-year service medal. 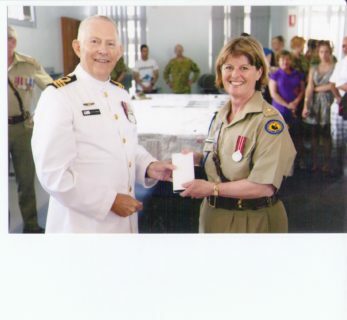 In 2010 I was awarded the Commanders Commendation for my work with cadets and staff. My other big achievements is being Mum to Matthew, 27, Todd, 25, Lisa, 20, and Katie, 13, and Nana to one-year-old Patrick. Both my sons joined the Australian Army and have served in East Timor and Afghanistan. I am very proud of them both. The friendships I made during my time at school are not unlike the friendships formed in the defence force. There is a special bond and, 35 years later I am still in contact with fellow MLC students. On MLC: My husband and I were married in the school chapel and had our wedding photos on the main steps to the school and the beautiful views from the back.